Musings and deliberations of a man at 42 who didn’t quite get his fair share of toys and games as a kid. Now he overcompensates. 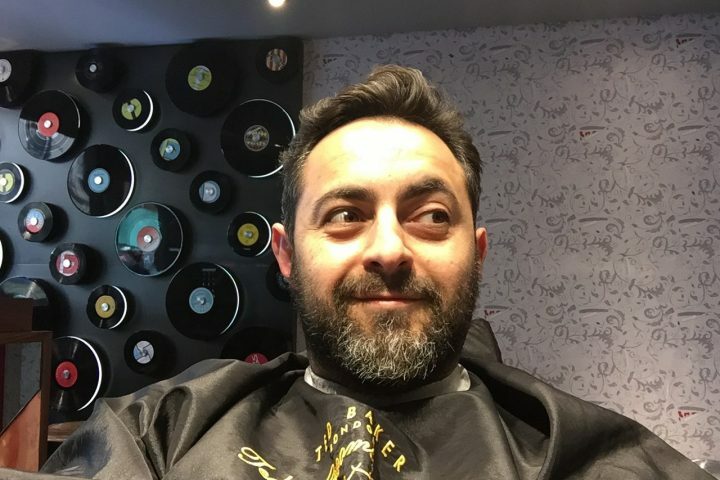 My company designs websites, I have an unhealthy obsession with cars I can’t afford, I’m passionate about film and games and the girls at home keep the devil at bay. Sometimes… Meanwhile I’m the best friend of the Norse God of mischief, a seasoned Brazilian Jiu Jitsu practitioner and a student of classical greek history. In another world, I’m a writer of sorts who has delusions of grandeur, false prophesizing his ability to hold onto a fraudulently vacant, non-existent audience. Humour me lest I continue to talk to myself. A round up of all cars, past and present, without the editorial of hindsight. These are the words I wrote as I owned the cars. Yup! Here it is! Here it is. I don’t need to say anything about this car. Super fast. Super competent. Super awesome. My license will go with this car. 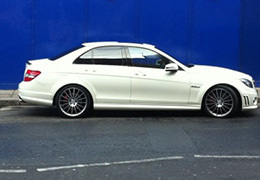 3.8, straight six, rear wheel drive, manual, 4 seats and the prettiest tear drop shape in the world. What more does a grown (family) man need? Coming out the M3 into the GTS is a sensory overload and evidence that Porsche are masters of this craft. Despite the beautiful handling, acoustic and aesthetic nature of the car, offers surprisingly good practicality too as it ferries a family of 4 plus small dog for a weekend holiday. 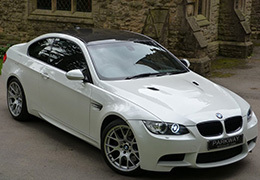 In order to qualify as a true petrol head, you must have owned an M3 at least once in your life. And that is written in gospel. I absolutely love this car. Surprised I’d go for white with silver wheels, but this competition pack ensemble works perfectly. It’s also got some naughtiness on the exhaust system which has me murdering birds every time I start it up it’s positively hilarious and sends a guilty shiver down my spine. Chunky V8 with the most benign rear wheel drive handling on the market equals a crazy amount of oversteery fun. And where do I begin? 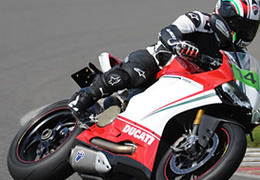 Truly the king of bikes, the Panigale is fast, beautiful and exotic. It is everything any speed junkie could ever wish for. I even treat it often as office decoration. Problem is, where does one go from here? So glad to have scratched this itch. It sounds unlike any other V8 on the market, really is quite offensive. 6.2l of V8 power means it doesn’t take much to relinquish all concept of grip on those tiny rear tyres, very surprised more of these cars don’t make the headlines – or someones front garden. It’s also shockingly fast, beautifully built and has just the perfect blend of Q car conceit and road warrior garb to it. To be honest, I really REALLY wanted a bike when I first saw Trinity ride her black Ducati in Matrix. I was hooked since then. 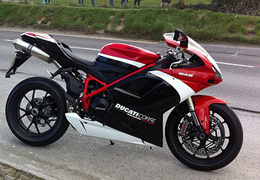 This was a truly fantastic bike. 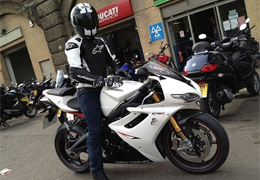 It was quite different to the Triumph, but felt alive between your legs. 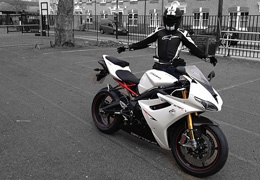 What causes a grown man to enter for his motorbike test aged 38? Changing times perhaps, or maybe even a longing for a past (mid-life). Maybe it’s a little more simple than that, the motorbike is clearly the zenith of vehicular induced adrenaline? So I enter stage left with a new passion, the Daytona. 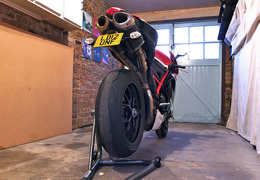 As an entry into biking, it’s pretty extreme – track focused specialist parts rendered the bike into “must have” material. So much so, in fact, that the thieves took it from me. 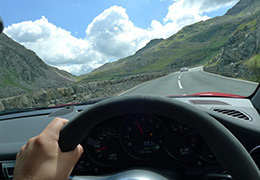 As predicted, here I am back in a GT3 RS again. Once you go track you never look back. It’s so dramatic this thing, even parked up it exudes an air of exotica. Such a pure car, it decimates similar rivals both on and off road, sounds intoxicating and is utterly uncompromising. Feels so so good to be back in one again. My biggest regret was to sell this car way before its time. Completely out of my hands, but I miss this car hugely because of the undiscovered potential. In the short space of time I owned it, I managed to get a track day in. 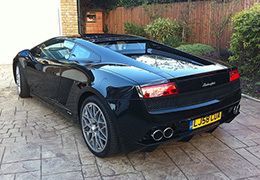 It’s ferociously fast and stunningly good looking. 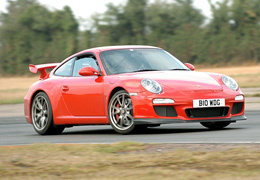 Competence that can only be expected from a GT3 of modern times, truly a great untouchable. A reminder to how cool the 80’s were, the Alpina blends purity of driving with plenty character. It’s a simple concept with no electronics that sits on a lightweight body and torquey powerplant with 210 bhp. The legendary BMW 6 pot 2.5 engine is an audible treat as it is, but with the 2.7 Alpina conversion and the sports exhaust, the windows are rarely closed. Much respect earned in this car as I fend off random buyers from the street. Such a handsome car, don’t you think? 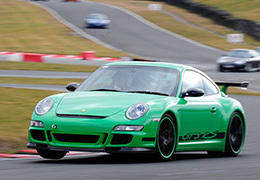 Porsche 911 (997) GT3 – Banshee. So far, my favourite car ever. 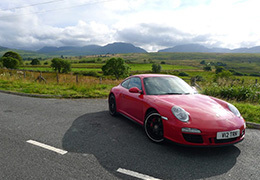 A mass of capabilities and the first Porsche I’ve driven that exudes character and charm. Electronics and design combine to bring the car into the 21st century. 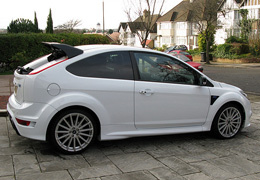 Despite its traction control and sat-nav, it is an incredibly focused car and CAN still bite. A major step forward from the 996RS I had, let’s just say it’s the same in every department. So far, the car is under my skin and is a joyous toy to own. Sheer power and a design to stop hearts. Been in love with this car for many years. Truly a supercar bargain at the moment. Incredible road presence and competency, handling that defies its 1800 kilo weight means a car that can fulfill a variety of personalities, from cross country GT to a B road hooligan.Crazy parallels with the R34 GTR, from looks to size and even the same colour as my Nur. There was only one logical direction to go from here. 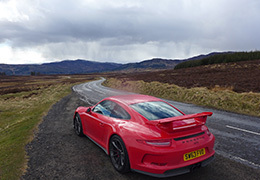 The GT3RS is perhaps the pinnacle of motoring for me right now. Both form and function comply to provide me with an electrifying experience every time. 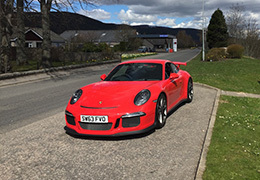 Jumping from 4WD, Front engined and turbocharged, to 2WD, Rear engined and N/A has been an educational experience, the GT3RS doesn’t suffer fools gladly and will bite if mistreated.Seen 200MPH on the speedo coming back from Germany. Why go for another Skyline? 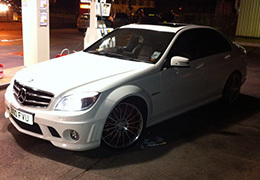 I honestly don’t believe there is a better car out there for £60k. This one is just my ultimate GTR with no expense spared on the spec sheet, I specified colour, build, tune and kit in Japan for this and waited a painfully long 4 months for delivery. Only 2 Nur’s in the UK and only 1 GTR in this colour, it certainly is a rare model.Boasting approx 500BHP, this car is the result of a green card in a Tokyo Nismo shop. Totally track prepared, this car is in my opinion the best state of tune for a Skyline. A different car altogether, the GT-R acts more in the role of a Grand Tourer, effortless cruiser when it wants to be, brash and brutal all other times. Sounds simply divine, imagine American V8 meets Ferrari V8.Pushing approx 420BHP at present with a NISMO backbox and centre section and a Trust decat and downpipe. 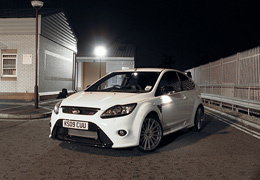 Also has a HKS induction kit, Power FC, an HKS Boost Controller and oil cooler. Drives superb with zero lag and totally useable power. After the blue Evo went, what would I replace it with? I was always apprehensive about this colour scheme, I was worried I would stand out like a giant Marlboro fag packet.A very funny car which provoked ridicule and admiration in equal amounts (women absolutely hated it), the Makinen was the embodiment of 4 years of Mitsubishi Rally success.Magnex straight through (again, it was that good) and Dragon discs. Fastest thing I’ve owned (the GT-R is faster top end) and amazing that I still hold my own license! Whilst the Evo rage was apparent at the time, I thought I’d find out what the fuss was about. As soon as I test drove one, I left the dealership with a reciept in my hand.A seriously fast car, immensly different from the Subaru in its delivery. 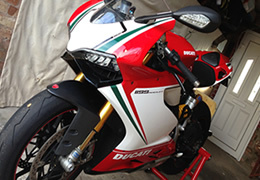 Had a razor edged sharpness that set your adrenaline alight every time.Magnex straight through exhaust with HKS induction. Sweet. This is where the obsession started (and where the fondest memories were created) This car has more heart and soul than any of the cars I’ve ever owned. 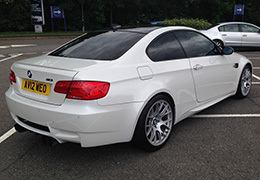 Vocal, charismatic and wonderfully simple.Upgraded items included Scoobysport full exhaust system and Brembo brakes with Pagid rear discs. I kept this one simple, I never longed for neither more power nor did I ever feel lacking in it’s looks.This car also introduced me to the SIDC (Subaru Impreza Drivers Club), one of the best motoring clubs in the UK. My fondest car.